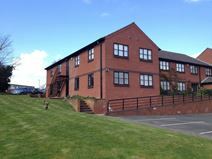 A technology park in Knaresborough, close to Harrogate, offers a high standard of serviced office and industrial accommodation. A comprehensive range of facilities and support services provided. The location offers easy access to Harrogate, York, Leeds and the surrounding regions, with excellent road connections via the A1 (M). Two nearby train stations, Harrogate and Knaresborough, provide connections with mainline services at Leeds and York. Leeds/ Bradford airport is only a short drive away. Situated on the edge of the beautiful market town of Knaresborough, this centre is situated in a well established business area. Offering small offices suitable for 1-2 people, to large multi-room units. Simple flexible terms make these units ideal for new businesses.